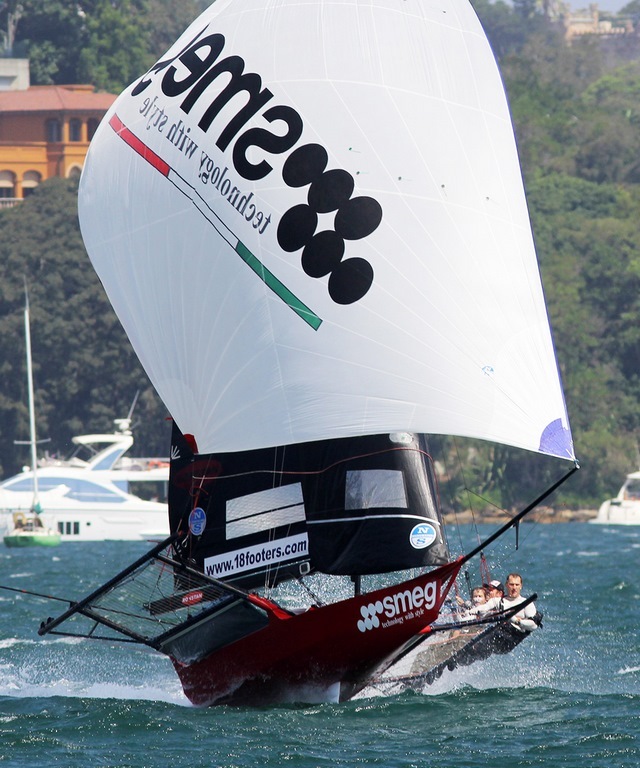 Sunday's Race 5 of the Australian 18ft Skiff Championship on Sydney Harbour marks the halfway point of the series, but the extreme wind conditions which have dominated the first two days racing have left the likely outcome up in the air. 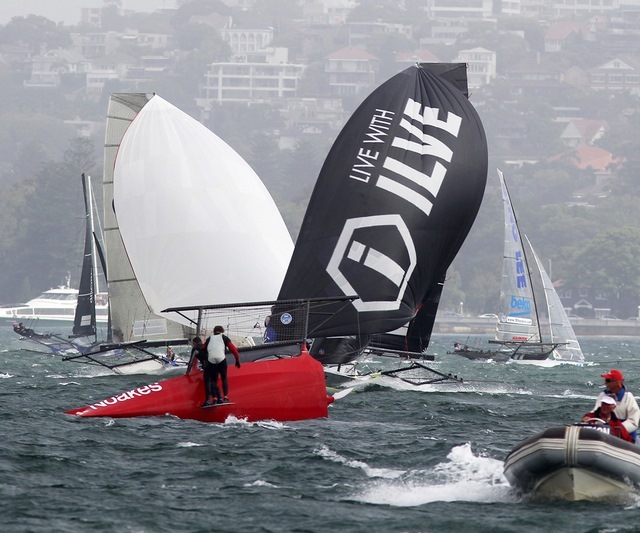 The almost total lack of wind on Day 1, then a more than 25-knot Southerly wind on Day 2, has made it almost impossible to evaluate the form of the leading contenders for the title. With many teams carrying a poor result in one race so far, the overall result of the championship could eventually be determined by a race result a top team would normally consider to be a discard. 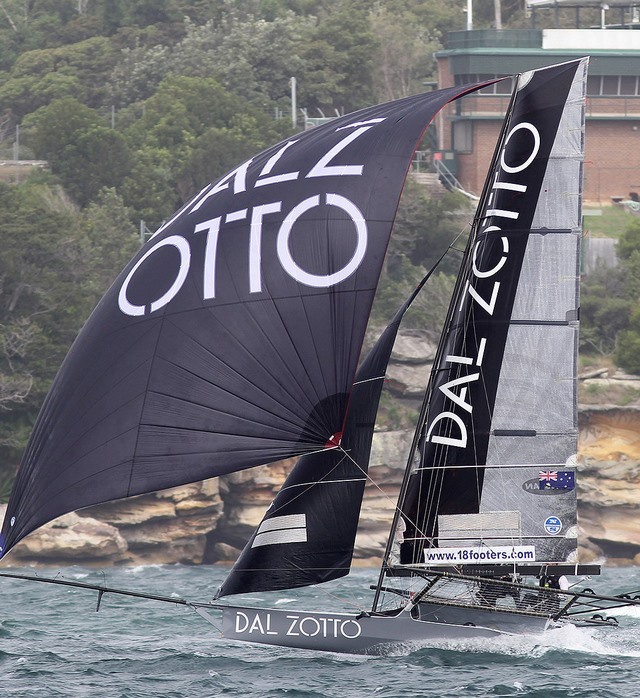 The wind conditions and the helter-skelter racing over the short windward-return courses hasn't been an ideal lead-up to the J.J. Giltinan Championship, which will be sailed on Sydney Harbour from March 2-10. 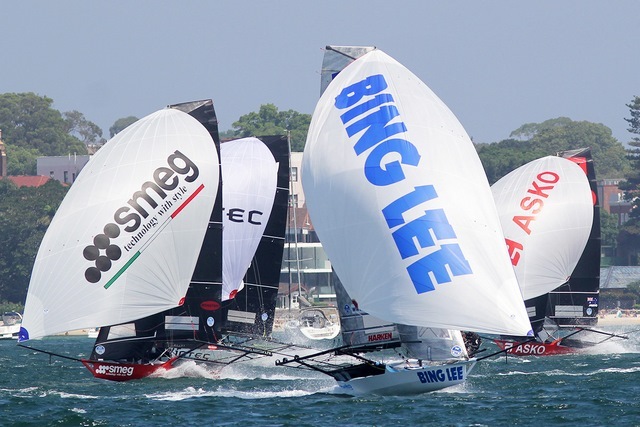 Sunday's race takes on even more importance as it is scheduled to be sailed over a full, championship-style course, and will hopefully, give a better indication of how each team is progressing with boat speed over longer windward and downwind legs. 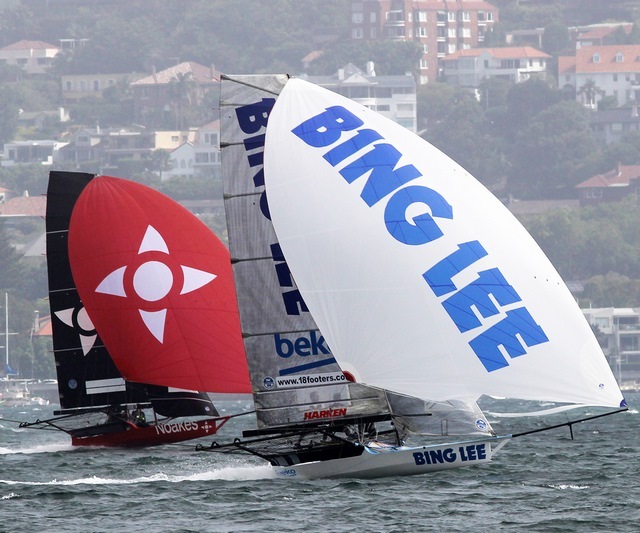 With three of the leading teams, Winning Group, Bing Lee and Asko Appliances, working up new crew members, the clock is ticking in the race towards next month's JJs, and the challenge expected from the defending champion New Zealand team. Although still early in the championship, if each team's discard so far is removed, Winning Group (John Winning Jr.) has a total of four points, to lead by just one point from Bing Lee (Micah Lane) and The Kitchen Maker-Caesarstone (Jordan Girdis) on 5. 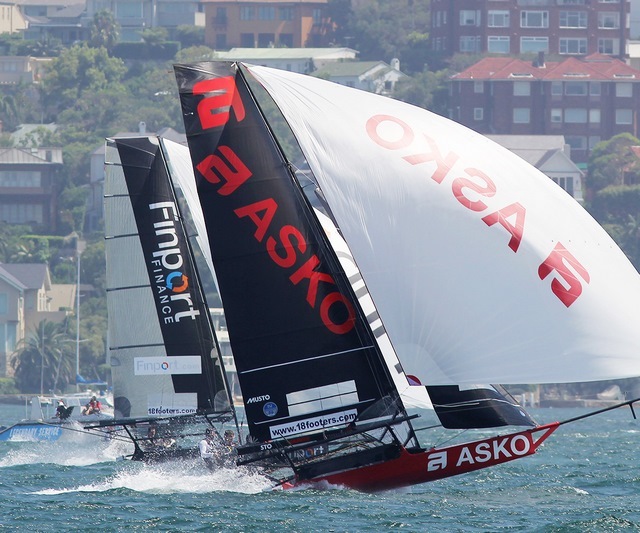 Asko Appliances (James Dorron) is next on 6 points, followed by Smeg on 7. 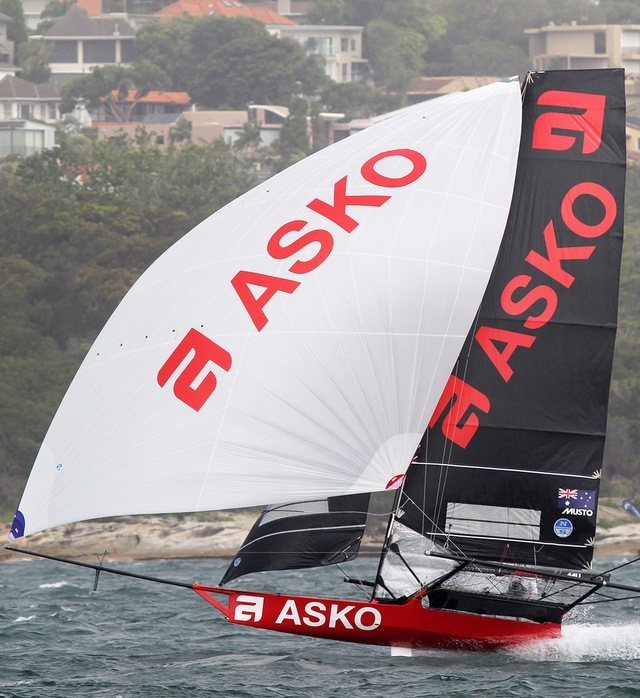 Recently crowned NSW champion Asko Appliances is one team still to settle on a final crew line up for the JJs. Skipper James Dorron isn't concerned and simply says: "we're working on it." Dorron added: "The boat is going well, and every race is an important test as we lead into the JJs." "Last weekend's gear failure hurt and a new crew in 25-knots wasn't ideal, but we're looking OK as we approach the pointy end of the year." Looking at Asko's main opposition at the JJs, Dorron said: "The heavyweight Smeg is going quick and Bing Lee is the other one to watch. Winning Group is also a boat which is improving each week." Dorron summed up: "March could bring a bag of breezes, so we just need to have the Asko primed, make good calls, and hope that things will go our way that week." 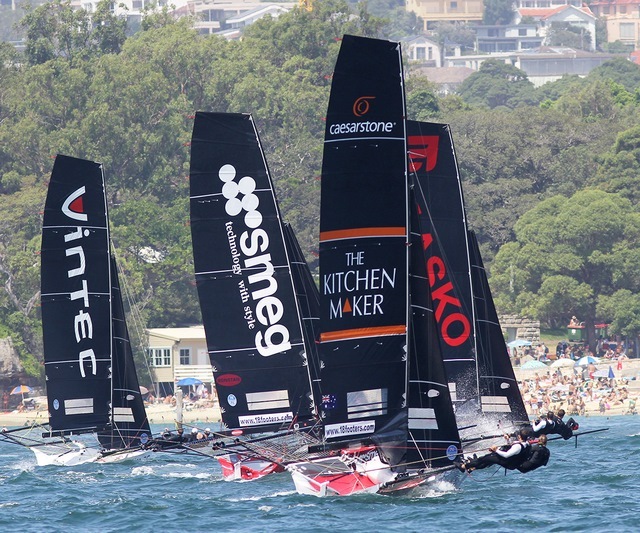 While a lot of attention has focused on the 'Big 4' teams, the consistent The Kitchen Maker-Caesarstone is certainly capable of pushing the more-fancied teams over the remaining five races of the nationals. 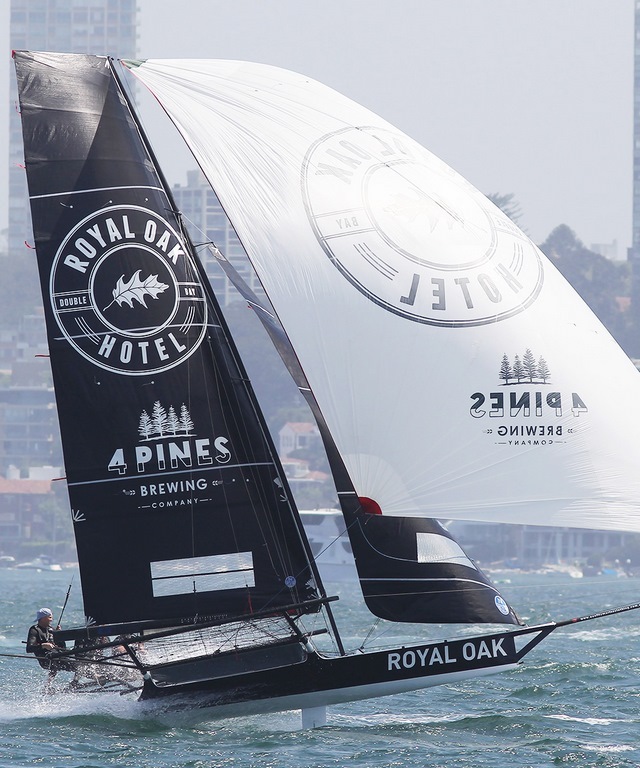 The race for sixth place is just as open as the battle for the overall championship, with three teams, Appliancesonline.com.au (Brett Van Munster), The Oak Double Bay (Aron Everett) and Vintec (Kirk Mitchell) all level on 10 points. The ever-improving Dal Zotto (Jack Sprague) is just four more points behind the trio, on 14 points. 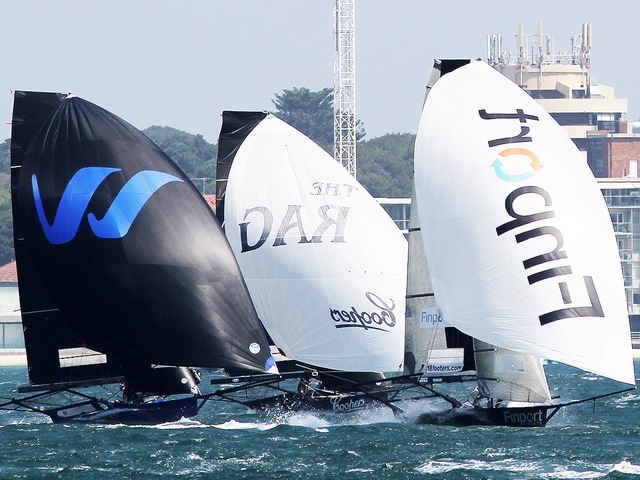 With so much at stake, Sunday's Race 5 of the Australian Championship is critical to the progression of each team and should provide a wonderful spectacle as the teams go at each other in a predicted, perfect 15-knots North East breeze on Sydney Harbour.